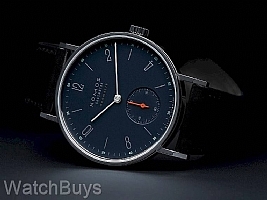 The new Nomos Tangente Neomatik Nachtblau features a stunning new dial color - Nachtblau or midnight blue. The combination of the orange and green colors against the dark blue dial creates the feeling of city lights at night. One of the most amazing features of this watch is the case thickness - just 6.9 mm with an automatic winding movement and sapphire crystal back. This watch incorporates the traditional Tangente Arabic numerals and font and is highly legible. Nomos is proud to introduce the automatic DUW 3001 movement. Only 3.2 mm in height and with an energy efficiency of 94.2%, the DUW 3001 is a movement that involved years of research and testing. This movement is an ultra-thin, automatic winding calibre with one of the highest winding efficiency of any movement on the market today. 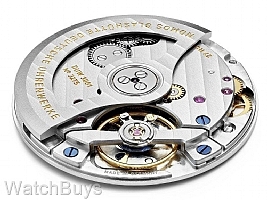 This movement also features the Nomos Swing System with a blue balance spring. 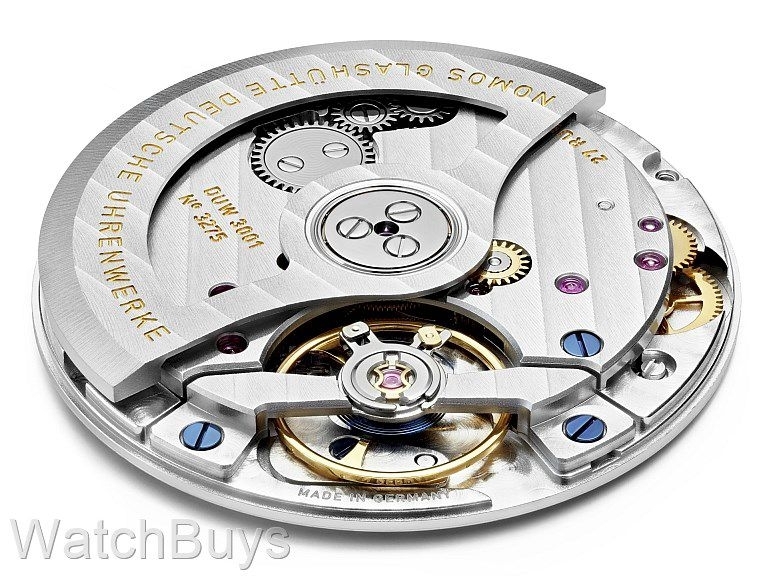 One of the more interesting features of this automatic winding movement is the "rotor brake" As the movement nears a full wind, this brake engages to stop the rotor from turning and reduces wear to a minimum. The straps of these watches are crafted from the finest, naturally tanned black Horween Shell Cordovan leather and meticulously remborde. 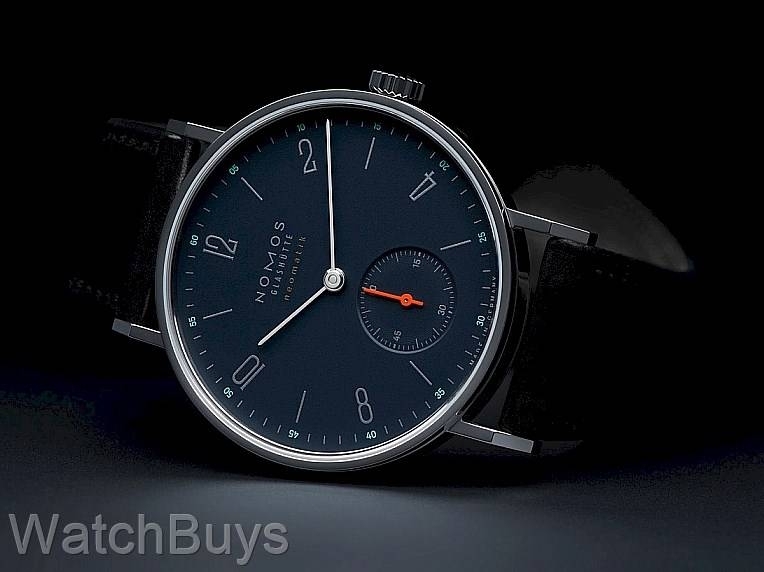 As an added benefit, this new Nomos Tangente Neomatik comes with a hand finished lined cowhide leather soft case exclusive to the Neomatik Series.